← Good bye, Year of the Rabbit! 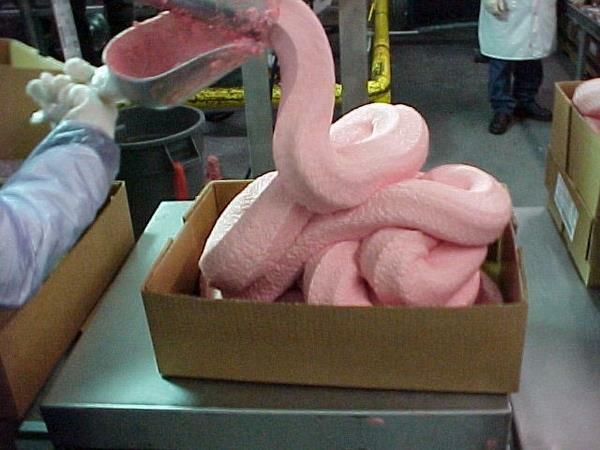 5 Responses to What’s in those Chicken Nuggets? As far as the food industry is concerned: ignorance is bliss. But if you’re not ignorant, best thing to do is change. Thanks, Ellie. Unfortunately I’ve been in the livestock and food industry too long to be ignorant. Some days, I wish I still was! But knowing what you are putting in your body and making informed choices for me is the only way to go. I had no idea. I’ve been reading food labels much more carefully lately and have been somewhat surprised to see things I can’t pronounce and have no idea what they are on products. Freaks me out. I’ve started being a lot more conscious of what I buy and where I buy it. I have no issue here paying more for quality and to support a local grower! P.S. LOVE the new digs. LOVE THEM!! Very nice…great style and look. Woot woot!